Pearl’s Cupcake Shoppe has taken the baking and dessert industry to a whole new level. 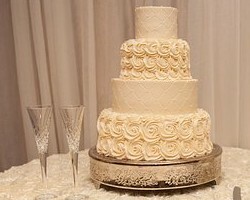 This is one of the few cake bakeries in Virginia that has held top position on the charts for giving unique services through the supply of cupcakes that best suit your baby shower and other events. Home delivery services are also available for those who would like to host their events away from the bakery’s setting at affordable rates. The Mixing Bowl has been a part of Richmond’s local culinary family for almost a century, serving the best cakes for various events and weddings. They offer consultation services at zero charges from their bakery located at 8903 Three Chopt Road, Richmond. With 90 years of professional experience in the baking industry, The Mixing Bowl has earned the appreciation of many clients for offering the best services throughout Virginia and its neighborhood. 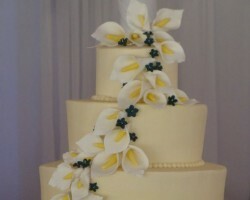 WPA Bakery offers a variety of treats and can supply both retail ordered and wholesale cakes. 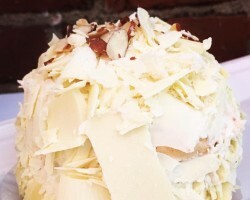 The bakery offers the best Richmond wedding cakes and will transform your wedding day into a feat affair with their delicious cakes, almond-glazed pretzels, and pies enough to feed your guests. What makes everything even more reliable is the value endowed in their clients from the high-quality of services. 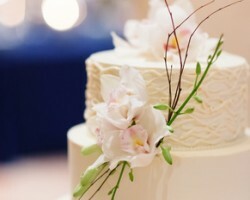 Sweet Fix specializes in making wedding cakes in Richmond, VA. Their team of professionals will make your cake according to your specifications, and in the most attractive colors that will capture the mood of every single occasion you intend to hold. 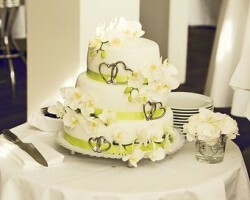 Sweet Fix will grace your wedding with delicious desserts and sweets to add taste and flavor to your wedding. Their services are diverse both in wholesale and retail packages. Having been in existence since 1984, DeFazio’s Catering has been recognized as one of the best wedding catering companies in Richmond. Currently, their catering facility is located on Tuckernuck Drive from where they provide a wide variety of exceptional wedding services. They have the best amenities including a large patio, banquet room, dining room and a bar from which you get to enjoy the services of friendly and experienced professionals. DeFazio’s Catering has been awarded for offering the best Italian catering by the Richmond Times, Dispatch food critic. Garfield's Catering have some of the most affordable yet tantalizing dishes in Virginia. Their menu incorporates a variety of foods and drinks that are carefully curated by experienced top chefs to fit all kinds of events. They will ensure you and your guests are comfortable and their friendly crew will attend to all your inquiries and facilitate the preparation and service of all the food and drinks your guests will take. 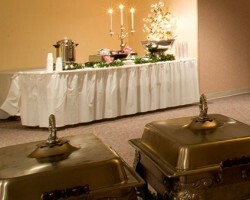 King’s Korner Enterprises has served in most of Richmond’s weddings by providing catering services for both social and corporate events. They will grace your wedding with sumptuous meals from various cultures including Mexican food. 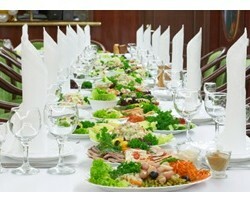 They boast of a banquet hall that can accommodate simple and elegant as well as grand and elaborate occasions. 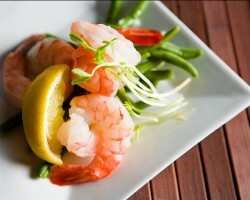 From their menu, you can notice the expertise employed in preparation, delivery, and service. 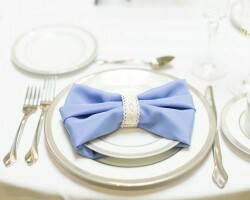 They are flexible to cater for your event from wherever you intend to host the reception. Goodrich Gourmet has served most regions of Virginia with finger licking dishes from real smoked BBQ to breakfast and even lunch. They go out of their way to provide their services across South Hill, Charlottes Ville, and Virginia Beach. Beyond feeding your guests to their fill, their reception services will incorporate décor, lighting, floor plan and a dance floor, just to make your wedding party even more colorful. The Buttercream Bee’s services are unique, and their cakes are baked from the best-sourced ingredients that are carefully blended to achieve perfection. Apart from designing the cake, they also ensure that the cake toppers fit right where they are placed and match well with the theme of your choice. Their expert team will make sure that all the desserts are well arranged and strategically placed for easy access at your wedding reception.